The Mooney School in Murfreesboro was renowned for its high achieving curriculum and all-star athletics as a private preparatory boys school. 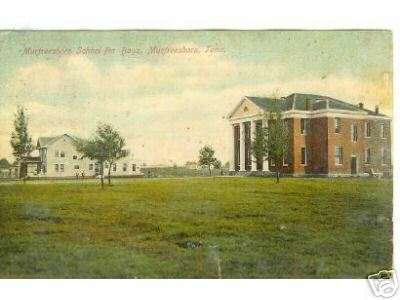 After the original campus in Franklin burned in the first year, the school was relocated to East Main Street in Murfreesboro and new history brimmed alive for scores of students. Patriarch Reverend Wellborn Mooney was born Dec. 23, 1829. He married Susan Dromgoole in 1856 at the home of her parents Mayor John and Lucy Dromgoole in Murfreesboro, and they had a happy union for 51 years. Sue’s father John migrated from Virginia to Murfreesboro and served as mayor during the Civil War, refusing to hand over the city to the Union. Wellborn and Sue Mooney had eight children, of whom three served as active teachers. Their children included Emily, William, Erwin Randle (stillborn 1861), Wellborn Petway, Mary Sue, Robert, Maud and Ernest. William Petway was born during the Civil War in 1864. Sue Mooney was a highly competent teacher and writer and an equal partner in talent and contribution. Her book “My Moving Tent” is exemplary and covers 46 years of ministry with her husband. The book relates personal sorrows and joys but also expresses the ravages of the Civil War. Wellborn Mooney was a chaplain in the Civil War and moved from one location to the next within the Confederate army. Sue was also moved by the Army from place to place with her own small children. Yet, she stood strong and taught without charge to needy Confederate children during the war. While living in Murfreesboro in early 1900s, she taught 30 female students at no fee. In 1890, Sue established the Dresden School in Weakley County in her home. Wellborn was the principal for eight years of Dresden Academy. The East Main location of Mooney School was intact for seven years for young men. The two frame structures on the property served as dormitories. By 1904, there were 135 students and four teachers. The students were high achieving and advanced their education to Yale, Harvard, and Princeton. Son William Petway Mooney was an early graduate from the original Webb School in Culleoka and focused on a lifelong love of education and learning. He was a champion tennis player and outstanding swimmer with a love for sports. His dedication was ceaseless, as he labored 50 years in teaching and coaching without missing one day for illness. William served as founder and principal of the Mooney School in Murfreesboro after construction was completed in 1903.
and math. He lectured on Latin and was the author of a Greek textbook. He was foremost in establishing a football program in secondary schools in Tennessee; and he coached a preparatory school team. William was also acclaimed for establishing new educational institutions. 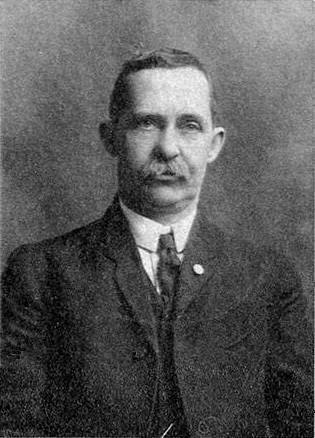 He was founder of Battle Ground Academy in Franklin, Mooney School in Murfreesboro and Mooney School in Harriman (1908). He was the headmaster of Riverside Military Academy in Gainesville, Georgia. He influenced business and military leaders from the entire country, and they all had great affection and gratitude toward him. 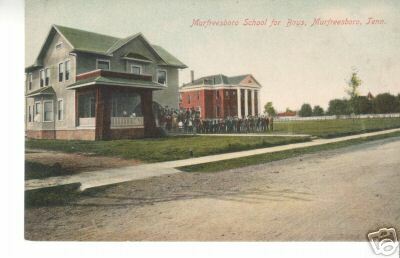 When the Mooney School closed, the building was designated as the Murfreesboro School for Boys from 1908-1912. In 1915, the building was named Central High and in 1920 renamed East End Grammar. Bricks from the school were used in the new McFadden School. Both Reverend Wellborn Mooney and son William had a prominent role in the acclaimed Mooney School of Murfreesboro with a legacy of quality education. Wellborn, a beloved father, died on Oct. 5, 1907 and is buried with his wife Sue at Sunset Cemetery in Weakley County. Susan Diane Harber writes about local history. 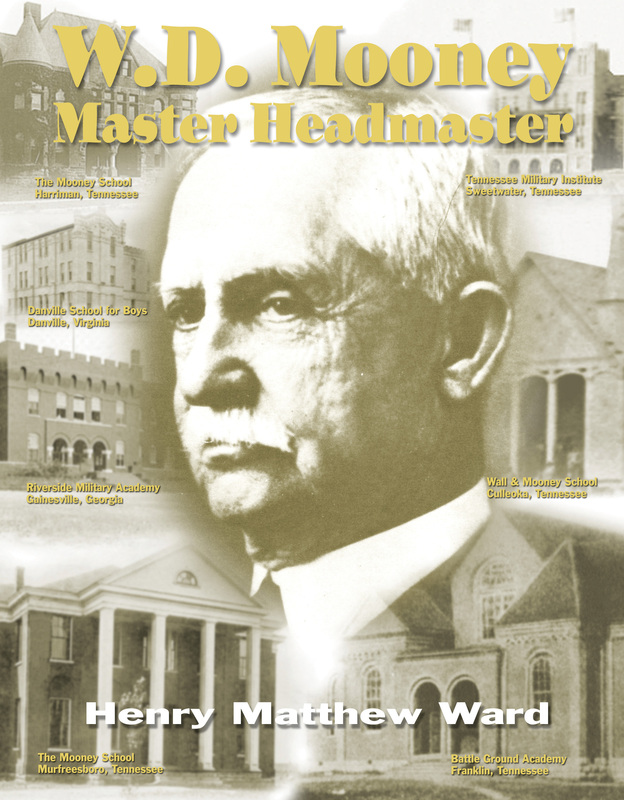 Matt Ward’s complete works on Murfreesboro’s ‘Mooney School’ can be purchased for only $9.99 by clicking here.